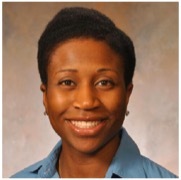 Dr. Onyinye Balogun is an Assistant Professor of Radiation Oncology at Weill Cornell Medicine specializing in the treatment of breast and gastrointestinal malignancies. She is a graduate of Harvard University and Yale University School of Medicine. Dr. Balogun initiated her residency training at the University of Chicago and completed her final year at New York University. She has conducted and published breast cancer research in novel therapeutics for triple negative breast cancer and brain metastases. She is also engaged in hepatocellular cancer research as well as global health activities with a focus on improving the delivery of radiation therapy in low- and middle-income countries.